Painter, sculptor, architect, Michelangelo Buonarroti was one of the greatest masters of the Renaissance. His works are among the greatest masterpieces of the history of art, and are characterized by monumental bodies and twisted busts, which mark the surpassing of the idea according to which art has to imitate the proportions of the human figure. Here are 5 things to know about Michelangelo. Michelangelo, Tondo Doni. Galleria degli Uffizi, Firenze. Michelangelo was born in Caprese, in the province of Arezzo, to a noble Florentine family, but not wealthy. At the age of 12 he entered the workshop of Domenico Ghirlandaio, one of the major artists in Florence at that time, and there he began developing his artistic skills and began the necessary learning path to become an artist. Michelangelo interrupted his apprenticeship to enter the circle of young artists patronized and supported by Lorenzo the Magnificent, where he stood out because of his skills as a sculptor. Michelangelo was only 26 years old when he began working on the “David”, considered the most beautiful statue of the Renaissance, and which launched definitely his career as the major sculptor of his time. 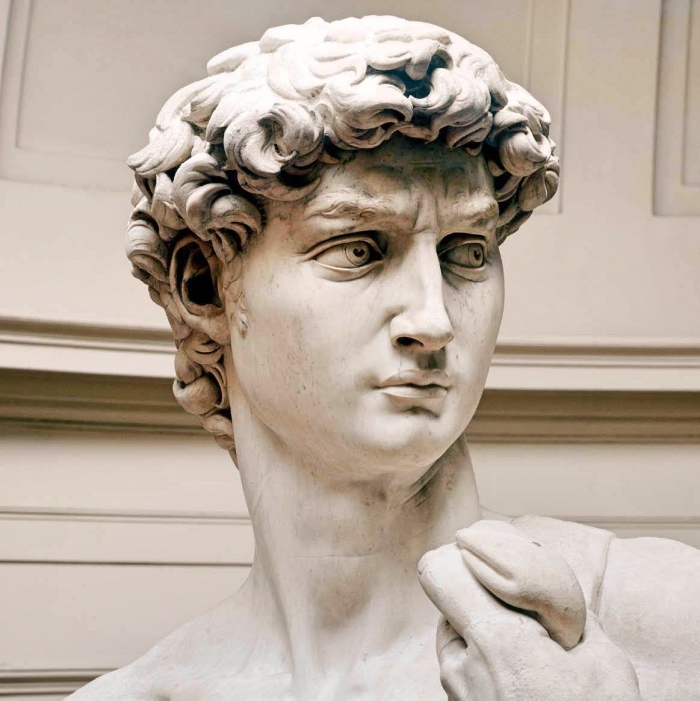 The “David” was a real challenge for the artist, who began working on a block of marble that other artists before him had tried to carve, but the block had a lot of problems because the material was fragile. Nonetheless, Michelangelo’s David was completed after only three years! In 1505 Michelangelo was called to Rome by Pope Julius II, who commissioned the artist to build his tomb in St. Peter’s Basilica. It took him over 40 years to finish the work, and the artist defined it “the tragedy of my life” and here he carved another famous statue, the “Moses”. In 1508 Michelangelo began working on the decoration of the ceiling of the Sistine Chapel, and finished it in 1512. Also on this occasion the artist dealt with a grandiose project and tested himself, because it was not a sculpture but a fresco. The figures depicted are over 300 and Michelangelo painted the main events from the Book of Genesis and other episodes from the Old Testament. More than 20 years after having finished the Sistine Chapel ceiling, Michelangelo was commissioned to paint a new fresco in the Sistine Chapel. This time he had to paint “The Last Judgment”, and also on this occasion he created one of the greatest masterpieces in the history of art. 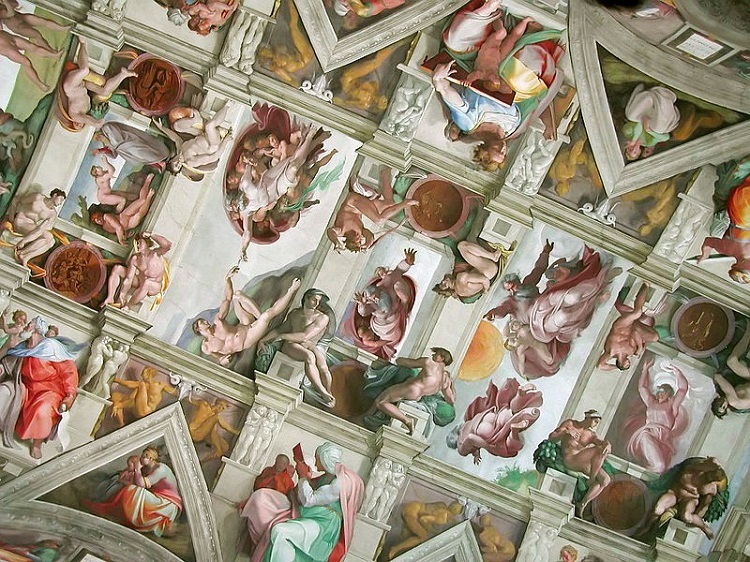 LEGGI ANCHE: 5 things to know about Sistine Chapel. 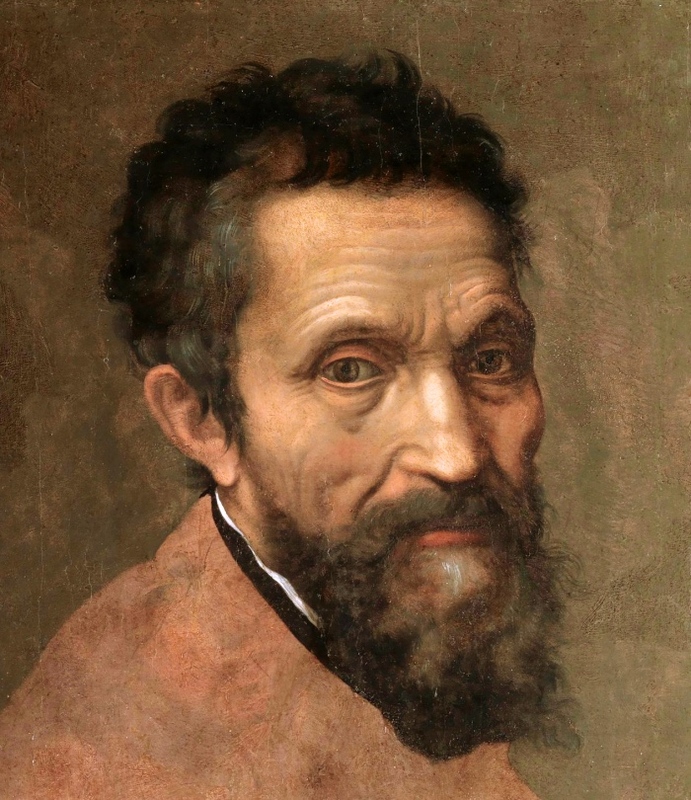 Michelangelo died at the age of 88 in Rome, in his house located in Piazza Macel de’Corvi (it was located where today the Vittoriano stands). His last work was the “Rondanini Pietà” which was found unfinished in his workshop, and is Michelangelo’s spiritual testament. Michelangelo’s body was moved to Florence and was buried in the Basilica of Santa Croce in Florence. LEGGI ANCHE: What to do in Florence, an itinerary. Per Leonardo da Vinci la Gioconda, potrebbe essere un’ultima Madonna che apparirà in tempi apocalittici, senza il Bambino con sé, contrariamente alle molte Madonne da lui precedentemente dipinte. Monna Lisa è la Madonna che precede il Giudizio Universale, di Michelangelo e quello finale ad opera del Figlio. Michelangelo Buonarroti, nella somiglianza tra il Cristo Giudice del Giudizio Universale e la figura di Aman della volta nella Cappella Sistina, persecutore biblico degli ebrei, avrebbe indicato la futura somiglianza apparente tra Gesù è l’Anticristo, come aveva scritto nei primi secoli il Padre della Chiesa Sant’Ippolito di Roma. Cfr. ebook/kindle L’Apocalisse secondo Leonardo e Michelangelo.